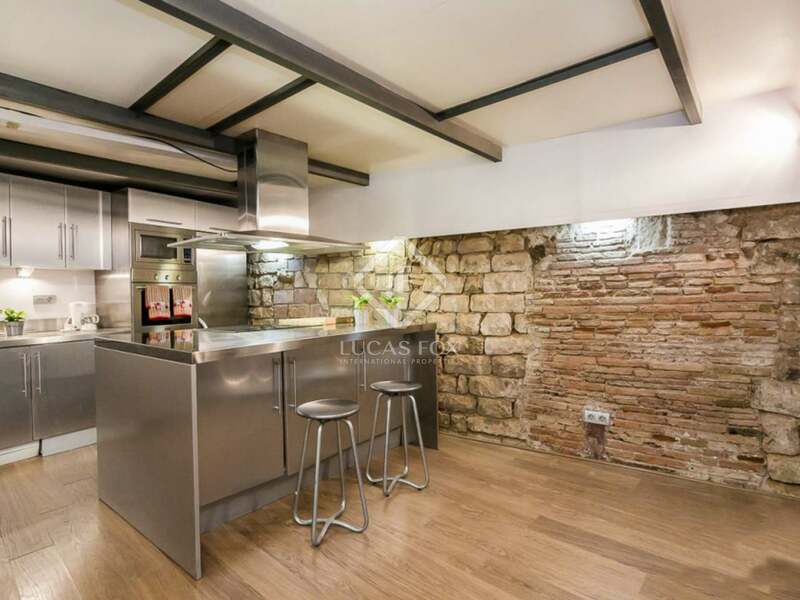 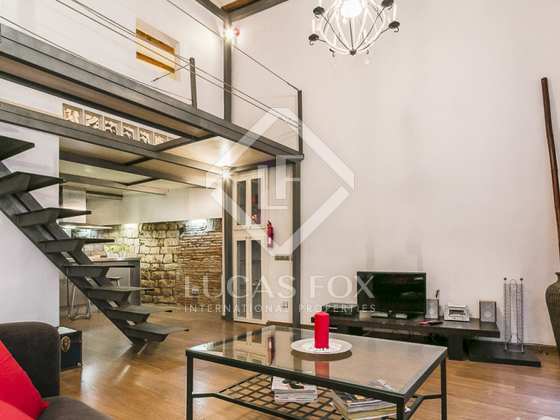 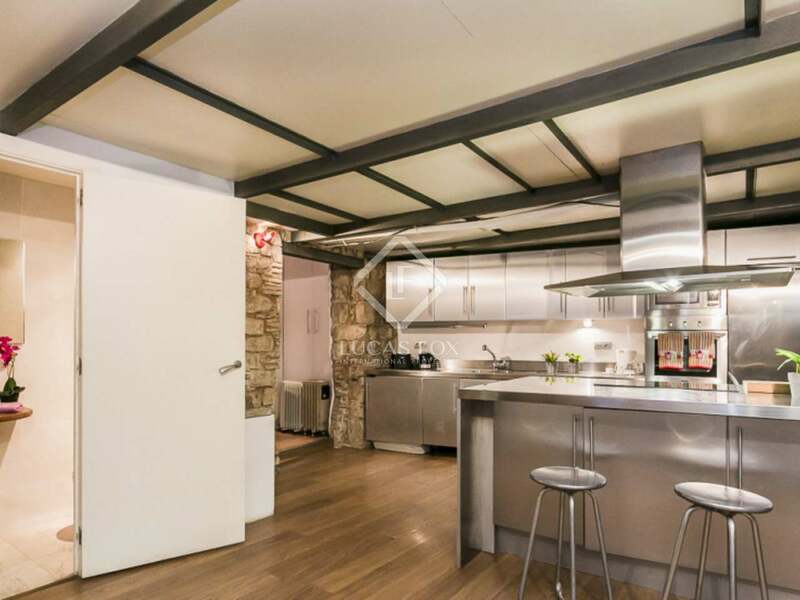 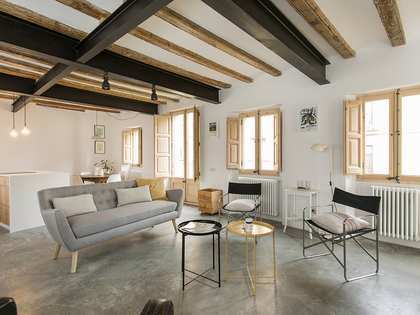 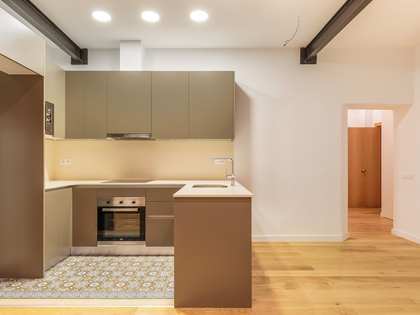 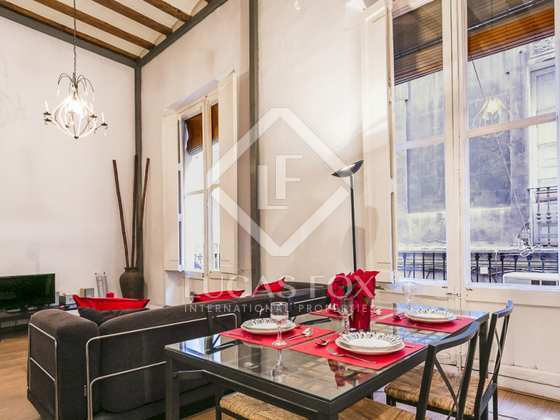 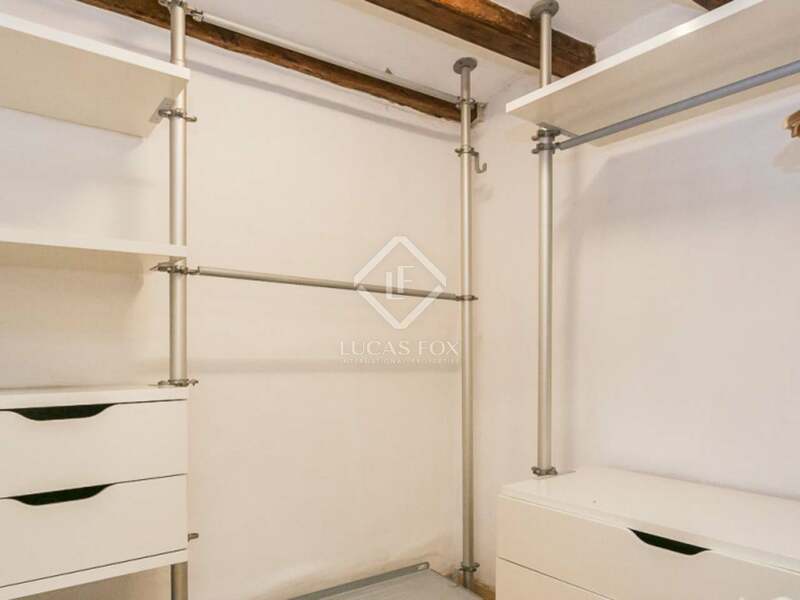 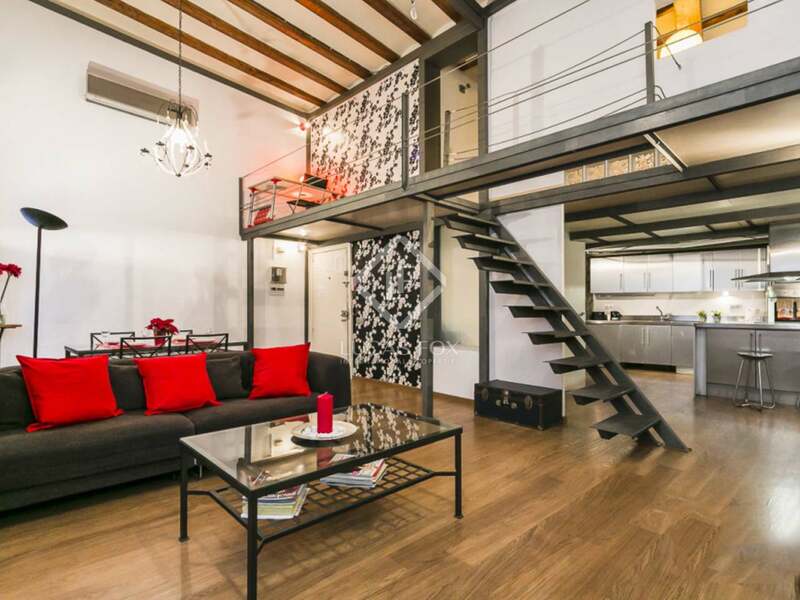 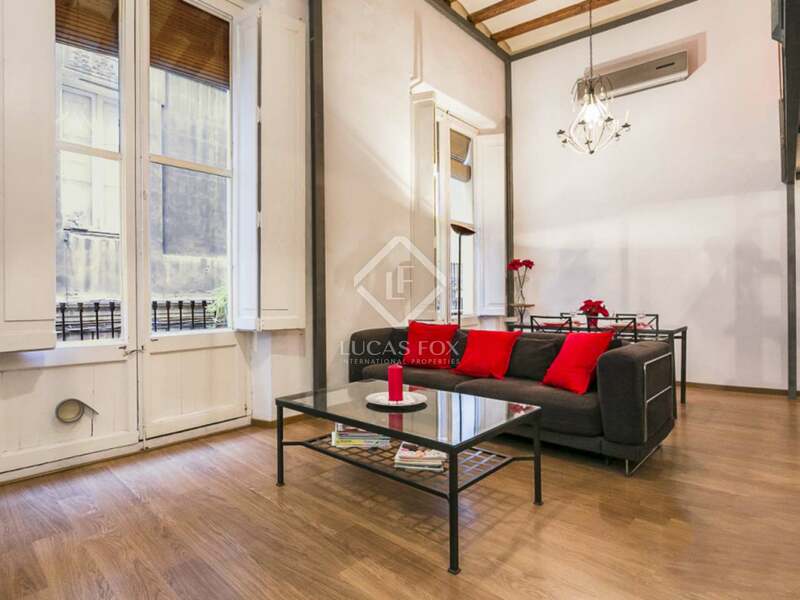 Adorable loft-style apartment with mezzanine for sale in the Borne neighbourhood, very near the Santa Maria del Mar Church. 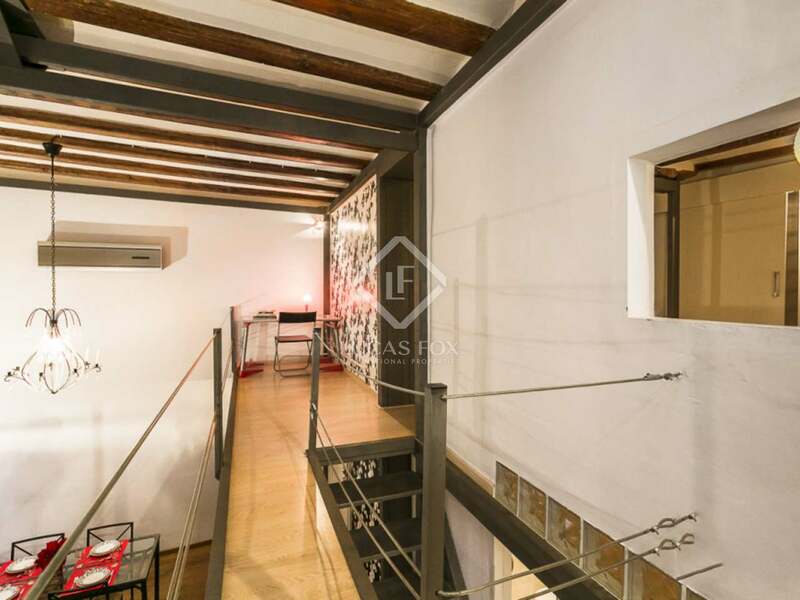 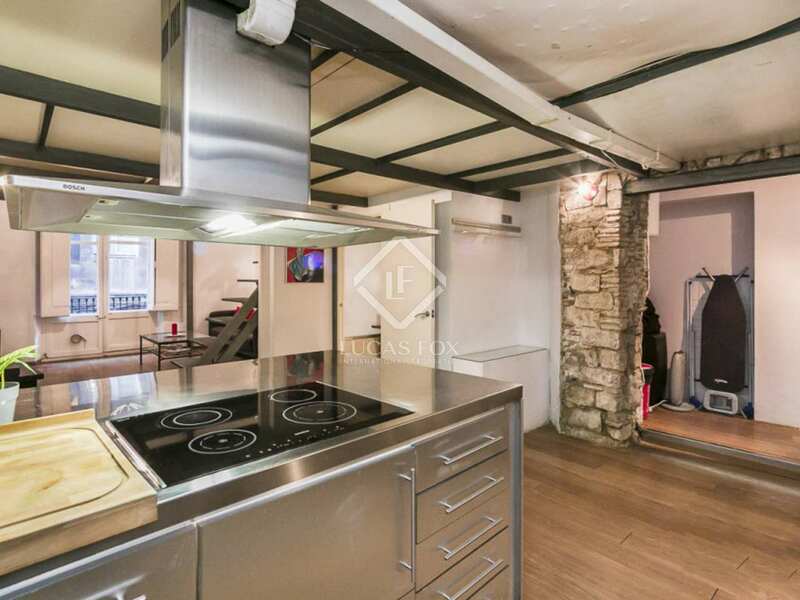 This apartment is located on the first floor of a building without a lift dating back to 1840, on a peaceful, historic street with plenty of shops and cafes. 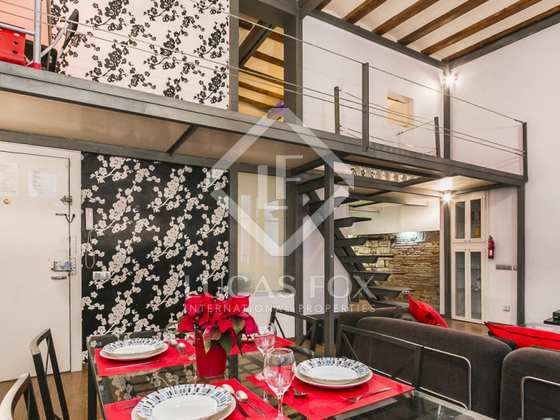 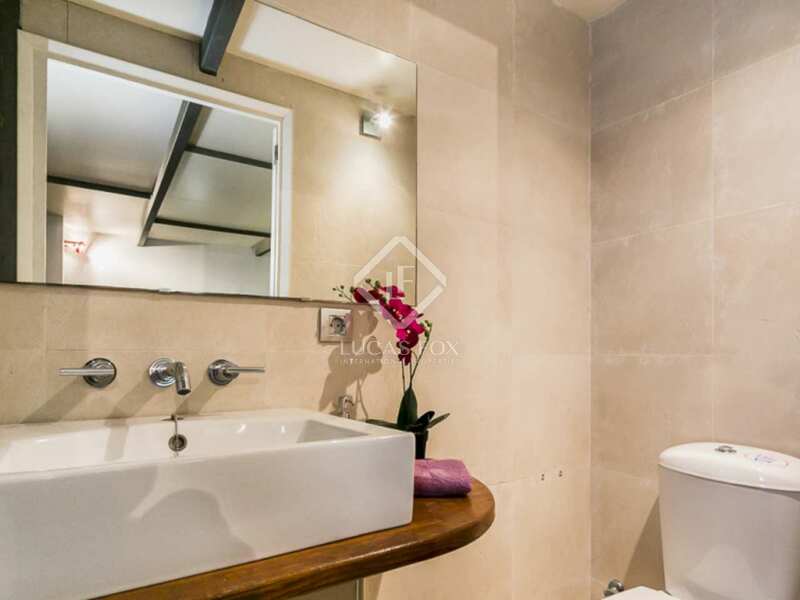 It consists of a lower floor with a lovely, spacious living room – dining room, an open-plan kitchen, guest toilet and 2 balconies overlooking Calle Banys Vells with a table and chairs. 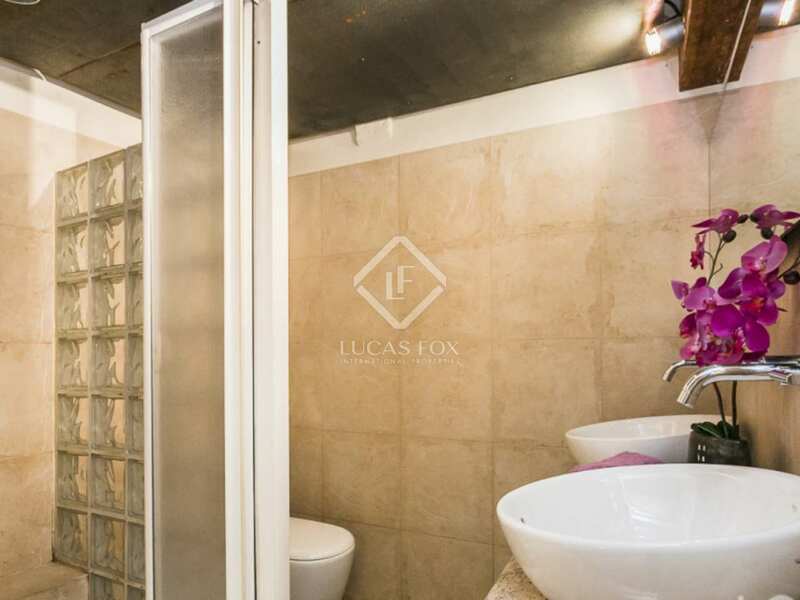 Stairs from the lower floor take us up to the mezzanine level which accommodates an attractive double bedroom with an en-suite bathroom with a shower and a dressing area. 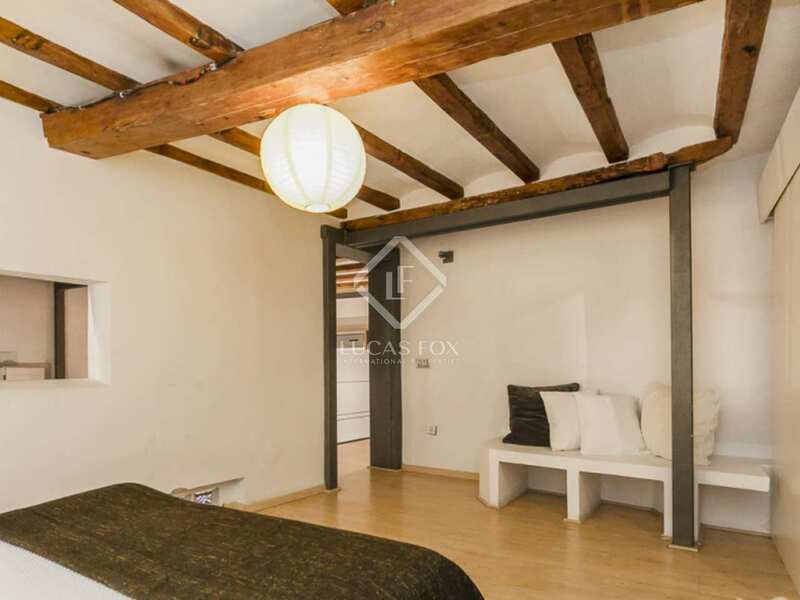 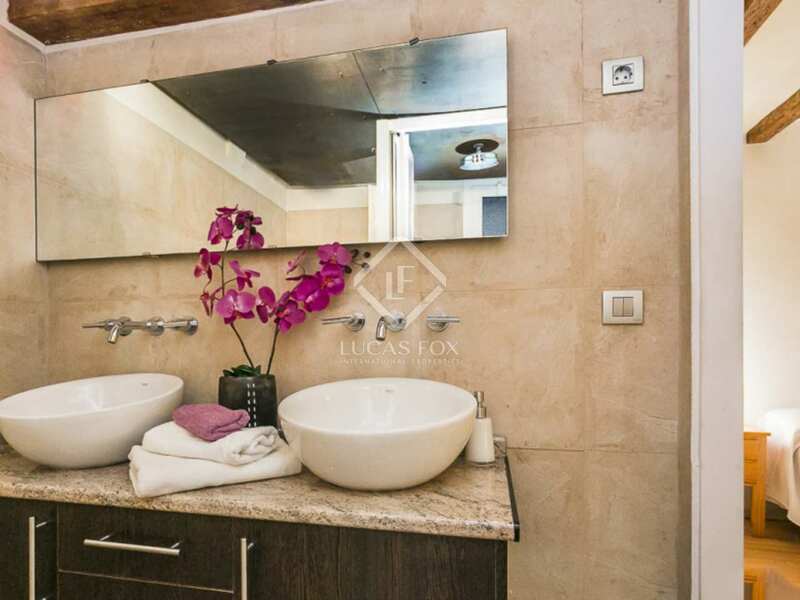 The property has been well maintained since its renovation and original features such as the Catalan vaulted ceilings and large windows have been maintained. The apartment is registered as having 55 square metres although, in reality, it offers 95 square metres thanks to the mezzanine floor. 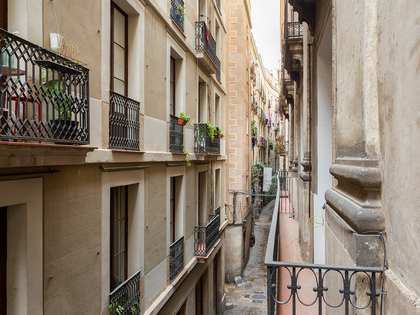 The building also has a communal terrace. 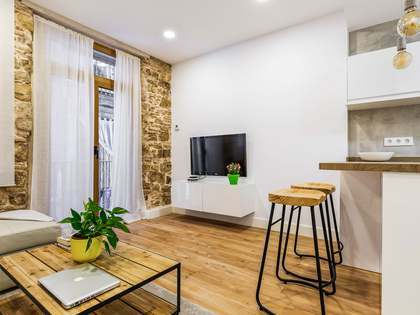 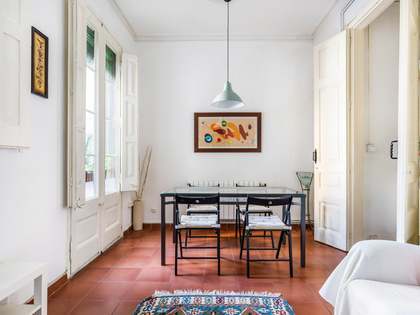 Apartment located on the first floor of a late nineteenth century building on Calle Banys Vells, in the Born neighbourhood of Barcelona Old Town. 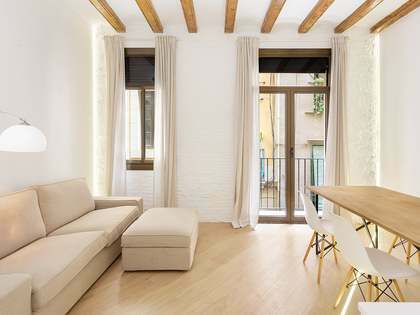 Just a few metres away from the Santa Maria del mar Church. 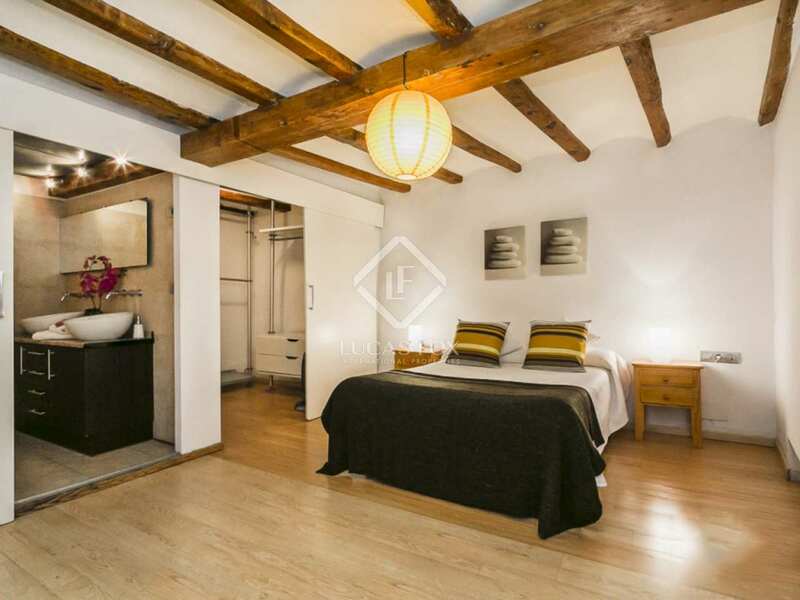 In an area full of shops, cafes, restaurants and design studios.